First off, this is not my idea. I saw it somewhere in blogland a few years ago. I loved it though, it was such a great, frugal, creative, and easy (I'm all about easy) idea that I tucked it away in the corner of my mind. I knew I'd use it eventually. Lately, I've been making changes to our living room. I'm trying to add more color and do it in a budget friendly way. I'm cheap - there I said it - and dropping $20+ on a throw pillow doesn't appeal to me, however, making my own for about $5 is right up my alley. So, when I saw this place mat at Target and it matched my colors, I snagged it. 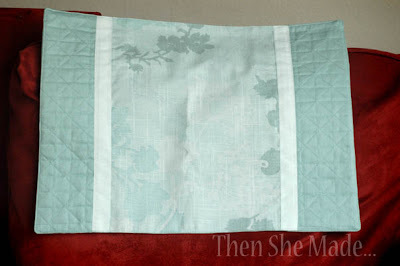 1- You need a fabric place mat that has two pieces sewn together. You can usually tell because it will have a seam all the way around it and the seam will be very close to the edge. 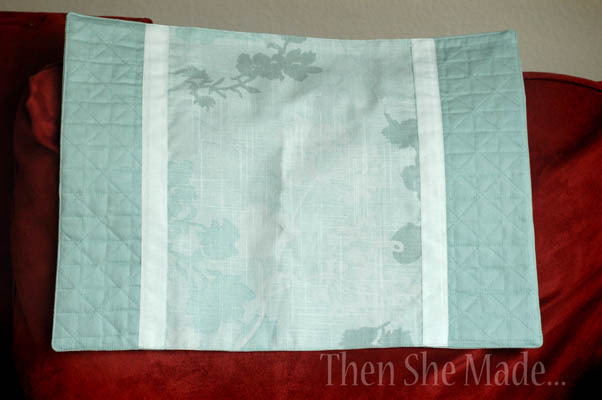 2- Unpick a small portion of the seam on the place mat. I chose to unpick an area on what would become the bottom of my pillow. 3- Once you've unpicked enough to get your hand inside, add the batting. Be sure not to get it clumpy. You want to add your batting in loose pieces and fill it enough that it's firm but not over filled. 4- Once you've got your batting added, simply hand sew the opening closed. 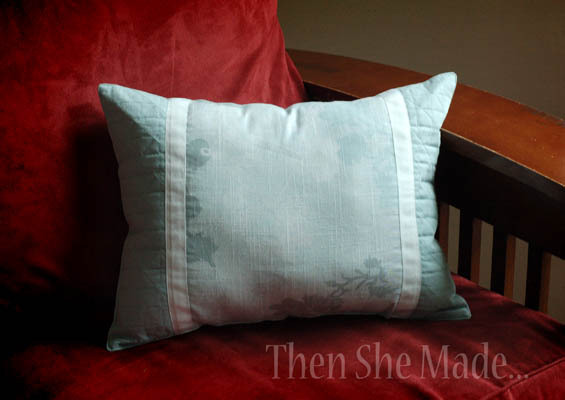 And there you have, a very simple throw pillow. So easy! It cost me about $5 and I made it in about 15 minutes. Awesome! I'm trying to update my living room as well. 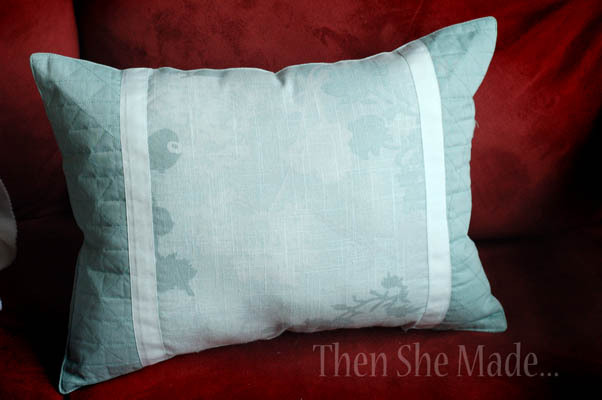 This pillow would be perfect, as too have red couches. Thanks for the idea! What a great idea. I keep that in mind. Thanks for sharing.